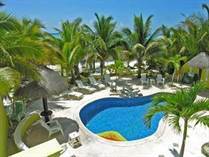 Welcome to all Riviera Maya Real Estate Listings. Think of this as your MLS for Riviera Maya Real Estate. 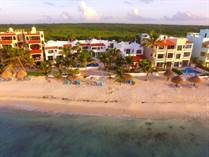 Listed here are all Riviera Maya properties including commercial real estate, condos, homes, Lots Land and Hotels in the Riviera Maya, including Playa del Carmen, Tulum, Akumal,Cozumel, Playacar real estate. If you want to browse Riviera Maya properties according to specific areas such as Playacar Real Estate only or Playa del Carmen Real Estate only or Akumal Real Estate or Real Estate Tulum, only, you can select "Listings by Area" on my left hand menu. You will see a drop down menu with Riviera Maya listings in each of the specific areas. If you want to search Riviera Maya Real Estate by type of property, such as condos Riviera Maya or Homes Riviera Maya or Beachfront properties, just select the "Listings by Type" on the left hand menu and look for the drop down menu you can do that also on the left hand menu. 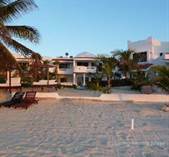 Riviera Maya Real Estate properties change quite often. Sometimes condos Riviera Maya or Playa del Carmen Condos that get sold before they even go public on my MLS for Riviera Maya website by investors of Riviera Maya Real Estate.